 The €300 million SBCI Brexit Loan Scheme is designed to provide funding support to enable eligible Irish businesses to implement necessary changes to address the challenges posed by Brexit. The Scheme will be available from 31st March 2018. I am a director or authorised person of the borrower. I know the borrower’s Company Registration Number or VAT number (if it has one). I know whether the borrower is an SME or a Small Mid-Cap. I know the value and sources of De Minimis State Aid that the borrower has received in the last three fiscal years. I have read the Brexit Criteria. I have read the (InnovFin) Innovation Criteria. I have access to a printer to print the completed form. None of the information entered on this form is saved by the SBCI, the online form below will generate a PDF file for you to print and sign.